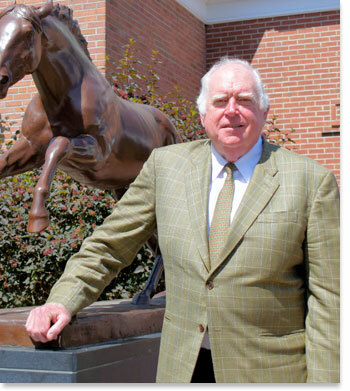 Tom Durkin is best known as the voice of horse racing’s Breeders’ Cup from its inception 1984 until 2005. He also called the Triple Crown races from 2000 until 2010. He was the long tenured voice of Belmont Park and Saratoga Race course for 23 years. He called over 80,000 races in the United States and Europe. He also taught Public Speaking in the 2015 Fall Term at Saratoga High School Continuing Education. He has had several voice over roles in movies; Woody Allen’s” The Mighty Aphrodite”, “All Dogs Go to Heaven” and in 2014 “St. Vincent” with Bill Murray. He was the radio and TV commercial voice of the New York Racing Association from 1990 until 2014. 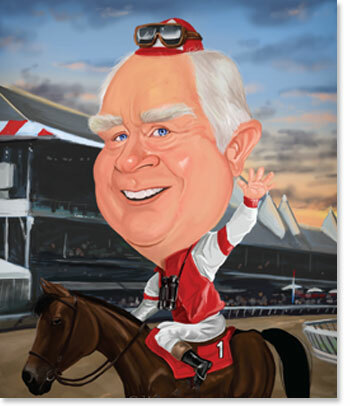 He was also the national radio and TV voice of the Breeders’ Cup commercials and promos from about 1988 until 2005. For decades he has voiced numerous TV and radio projects for the horse racing and breeding industries. In addition to his race calling for both ESPN and NBC Sports, he also wrote, produced and presented feature segments. During and after his career with ESPN, NBC and the racing industry he has been a sought after emcee and public speaker. He has appeared on stage with The Philadelphia Orchestra on two occasions as the narrator of “The Horse”.